I’m not going to sugar coat this, the Striker Spy Drone by World Tech Toys is a toy and a fun one at that! At under a $100, it’s not terribly expensive either. 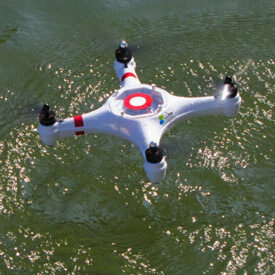 It’s made of durable hard plastic and comes with extra propellers, in case you crash a little too hard. It also includes propeller guards, but if you hit anything too hard they won’t help. Ready to fly out of the box with a simple battery charge. Unfortunately, most flights only last about 4 minutes. 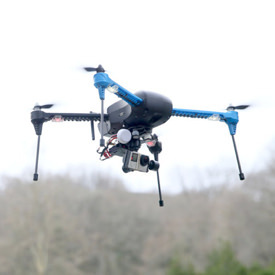 You’ll get a pretty stable flight out this quadcopter, but it’s hard to handle in wind. It’s so light that a strong gust can carry it away if you’re too high. The built in camera comes with a 2 gigabyte SD memory card. It’s not the best camera, but it’s fun to watch the video of the flights. 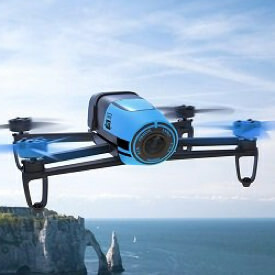 The Striker Spy Drone comes in at under a $100, so don’t expect this to be much more than a toy. It’s ready to fly out of the box with a simple battery charge, but don’t expect to get more than 4 minutes of steady flight time. If you can find them, get extra batteries. The Striker is pretty stable, except on windy days. 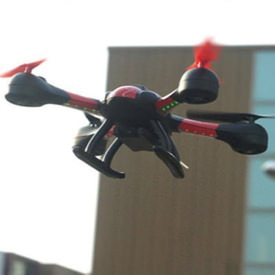 This little guy is light, so if it is particularly windy you will need to fly with caution. One strong gust of wind can carry your new toy far away. 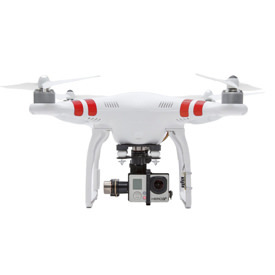 It comes with a built in camera but doesn’t provide a live feed, so there is no first person view (FPV). The camera is okay for what you pay for the toy. Don’t expect great cinematography, just fun to watch videos of your flight. 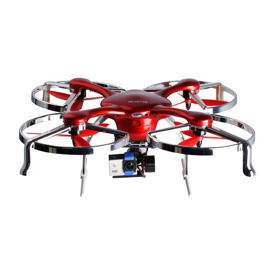 There is no headless mode on this drone. 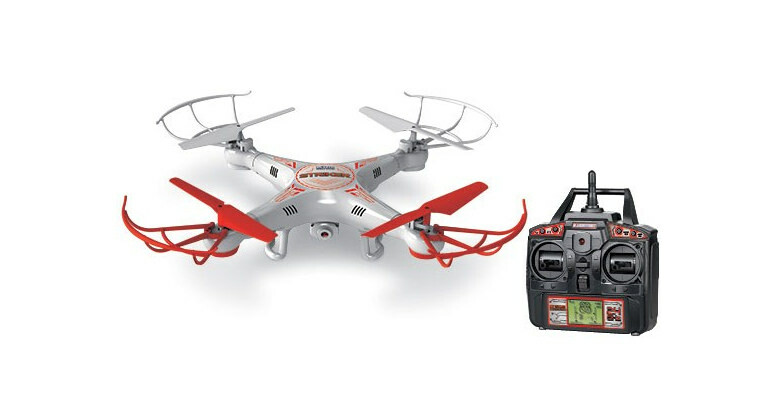 Instead World Tech Toys has made the front propellers and guards red, so you always know what direction you are headed. Like most cheaper drones, the motors on the Striker Spy Drone are brushed. These types of motors are cheaper than brushless which is what allows for the lower price. The downfall is they get hot and overheat. This is not a deal breaker, just don’t be shocked if one of the motors stops working after a few flights. If you can, find some spare motors on Amazon or eBay. 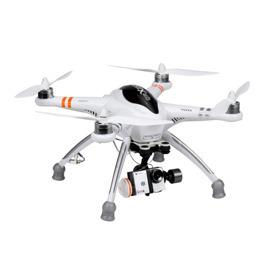 Personally, I think there are plenty of other drones out there for under a hundred bucks that perform better and have superior battery life.